“I am devastated” – Elias Sorensen finally speaks out after disastrous few months – NUFC blog – Newcastle United blog – NUFC Fixtures, News and Forum. 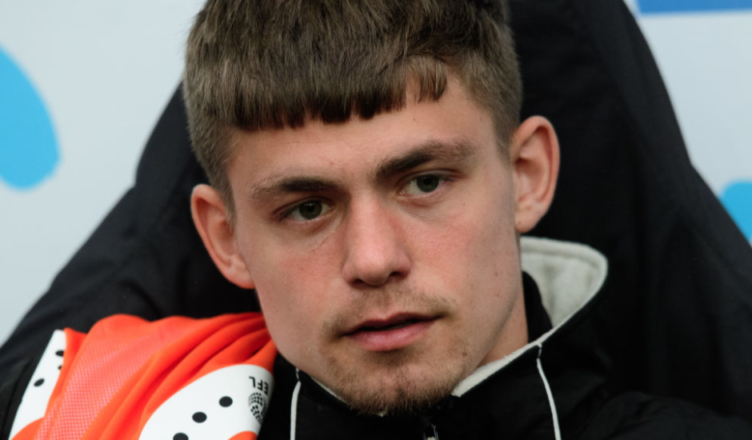 Elias Sorensen says he’s been left ‘devastated’ about his lack of opportunities during his disastrous loan spell with Blackpool – saying he never got a chance to show what he could do. The Danish striker has scored over 20 goals in all competitions this season, scoring for fun in our U-23’s in the Premier League 2, however he was given just 30 minutes of football during his spell with the League One side – failing to even be named on the bench week in week out. The club recalled him, and rightly so, but will feel like one massive waste of time and a real missed opportunity; both for Benitez, so he could see him in action at senior level, and the player himself. “Going out on loan was supposed to lead to giving me a chance to getting into the first team when I came back. “Obviously I train every day and train as hard as I can because being in the first team is where I want to be. “I was gutted about how the loan worked out. The big frustration here for me is the fact there were so many Football League clubs keen to take him on – and it’s not surprise given his form over the first half of the season. Blackpool seemed a good move – they were competing at the top end of League One and gave Sean Longstaff his big chance last season – but they’ve handled this one so poorly. Failing to give him regular minutes is one thing, but totally excluding him from several matchday squads just makes no sense given they were so keen to get him on board. It’s been a wasted few months and a frustrating period for both Sorensen and the club, but also a learning curve hopefully. There’s talk of a ‘loan manager’ being brought in over the summer, and it may be a good idea given Sorensen wasn’t the only youngster to endure a highly frustrating spell away from the club; with Cal Roberts and Jamie Sterry also being recalled early for a complete lack of game time. Logged in as Olly Hawkins. Log out?